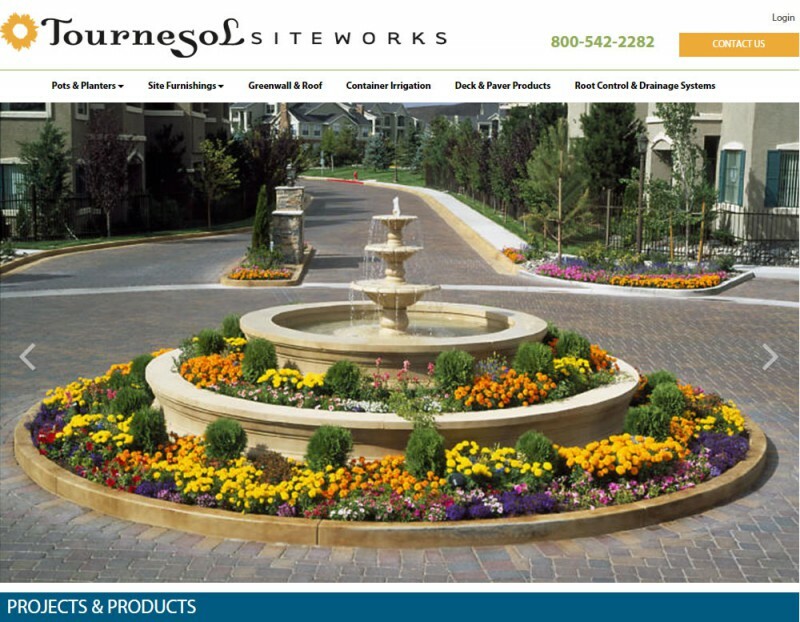 Full service website design and development since 1995. 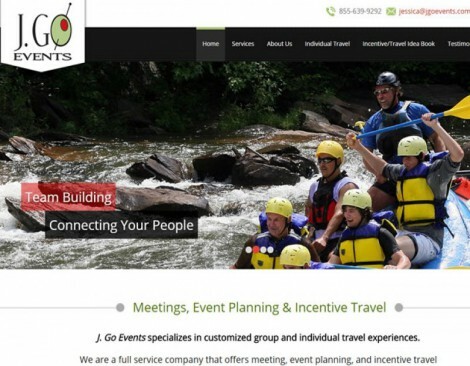 Website designs that create instant appeal to motivate visitors to explore your offerings. Our CMS make it easy for you and your staff to update your website anytime. We optimize every website for the major search engines as part of our basic service. 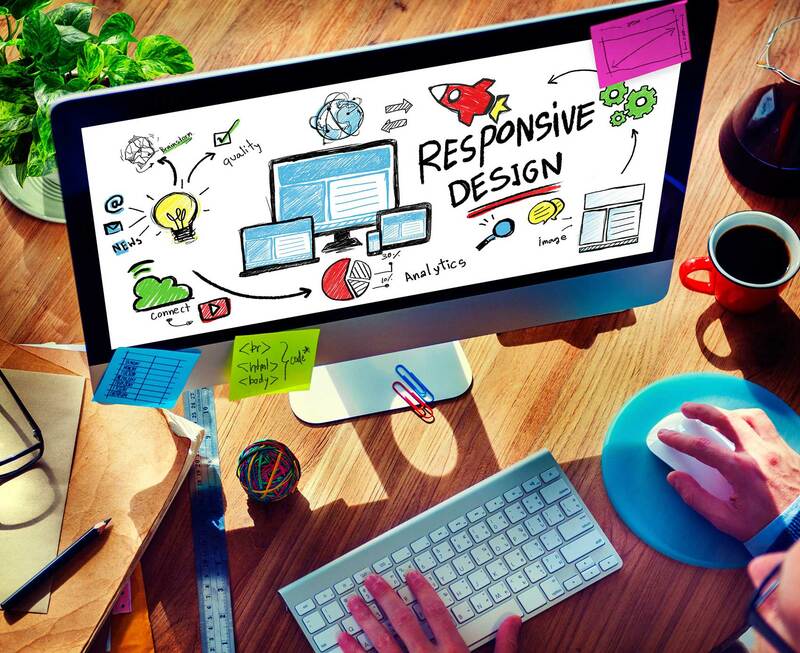 We design & develop custom web and mobile apps on a wide of technology platforms. Our years of experience mean you get the perfect e-commerce solution for your business. Full service web hosting & e-mail with live customer support. 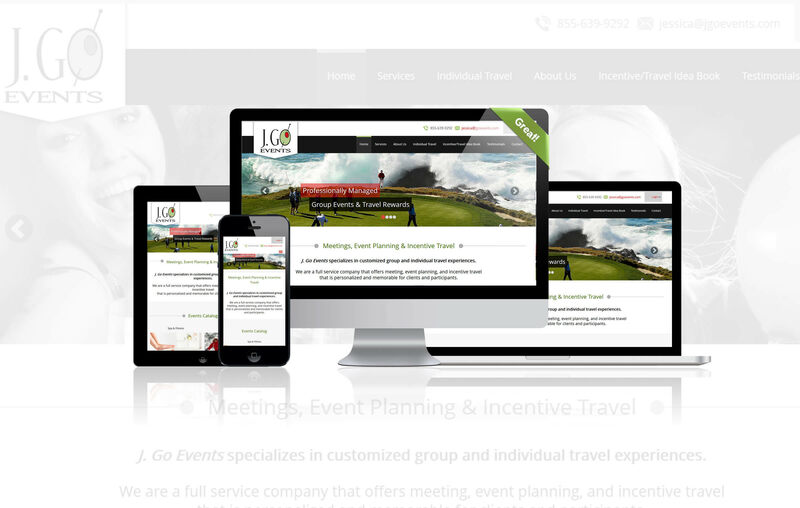 We create awesome, mobile-friendly websites that you can maintain yourself with our content management systems. Do you need something special? 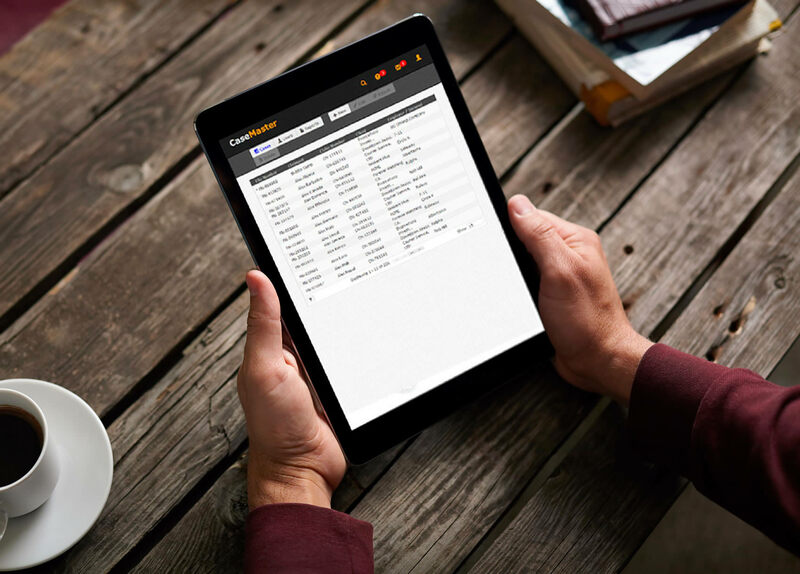 We have extensive experience developing custom applications that will improve your company's efficiency, reduce your costs and help grow your sales. Do you have an idea for a mobile application or would you just like to explore possibilities for your business? Let’s talk. And, all our work is backed up by our full service, worry-free hosting and email with live customer support. Click on them for detailed description of each project. 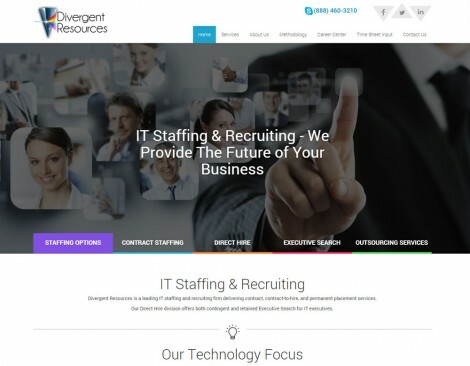 Divergent Resources is a premier IT and Technical Staffing provider with 6 offices nationwide. Our solution included an easy-to-use tool for maintaining their list of available positions. J. 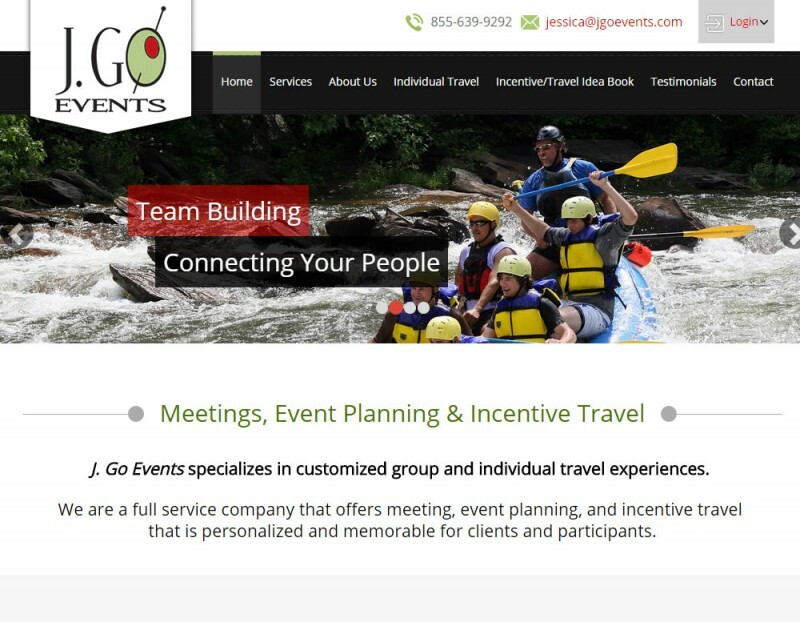 Go Events is a provider of incentive travel, meeting and event planning services for manufacturers and sales organizations. 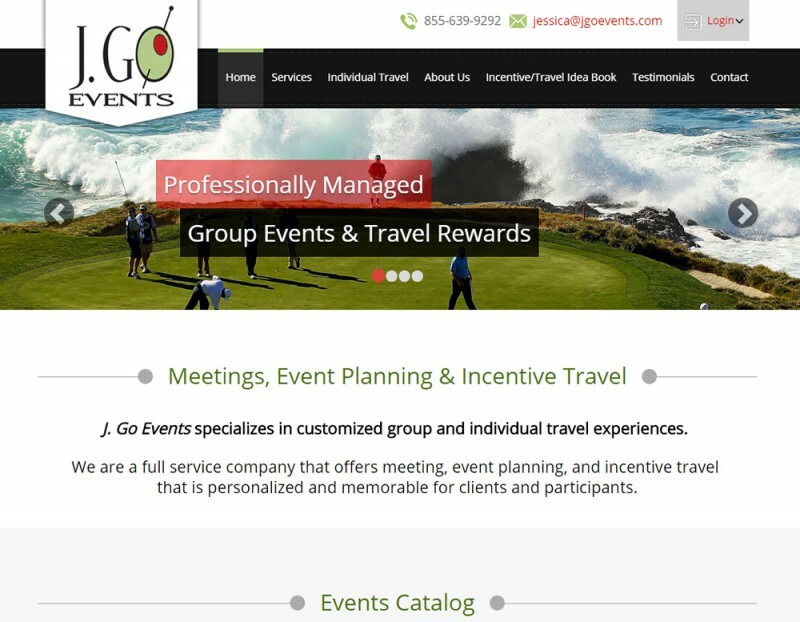 The colorful design has great appeal for the target audience and is fully responsive (works on all devices). 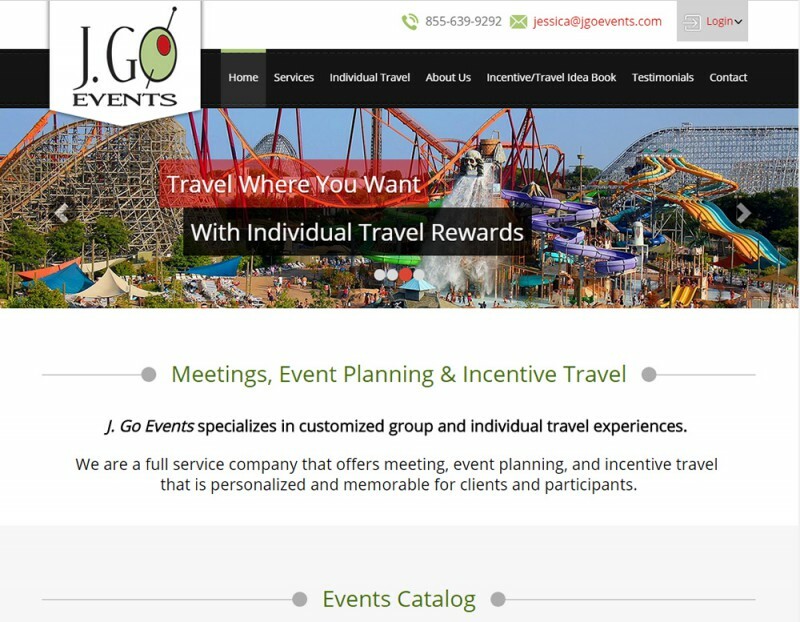 This site includes an extensive catalog of vacations, travel choices and special events that registered users can purchase using credits they have earned from the sales contents/promotions they are participating in. 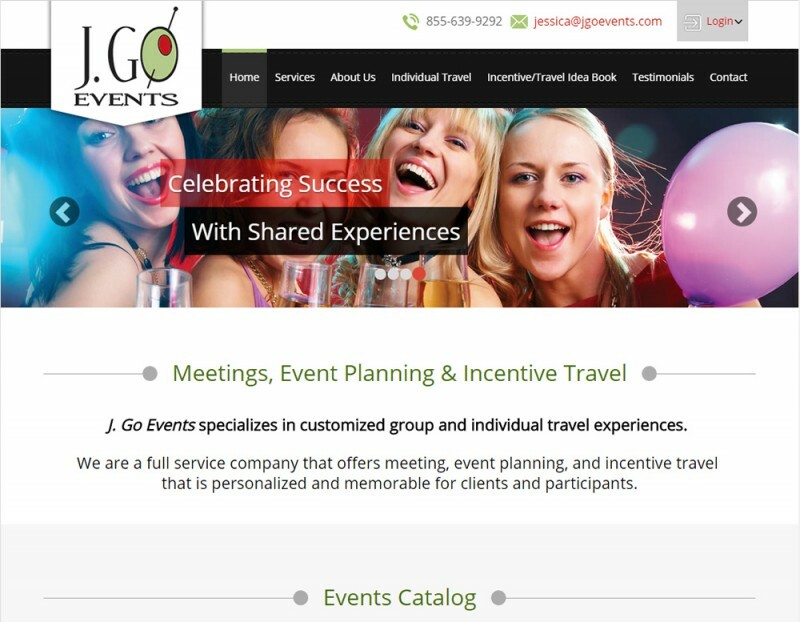 The monthly catalog of vacations and events is updated by simply uploading an Excel spreadsheet. Individual user accounts track credits earned and spent by participants. 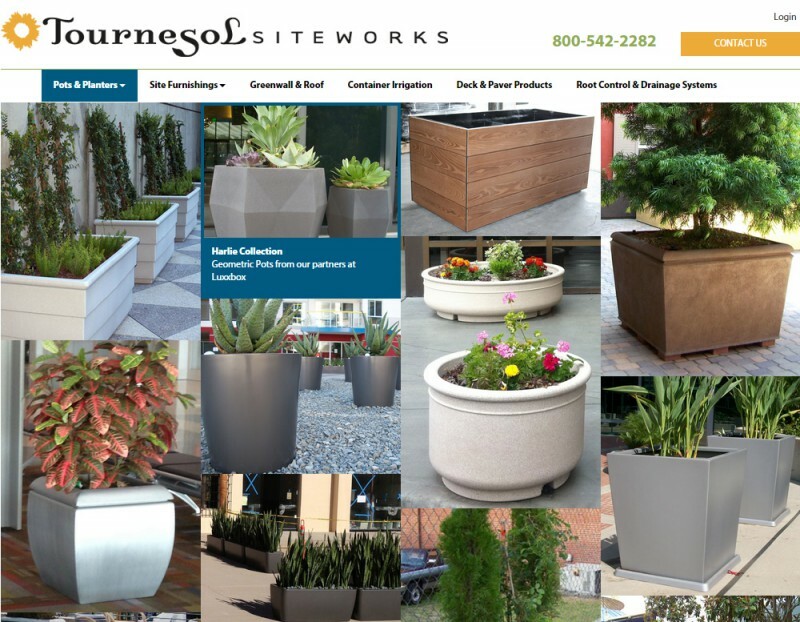 Tournesol Siteworks is a manufacturer and distributor of commercial-grade siteworks (pots & planters, site furnishings, green wall systems. etc.) 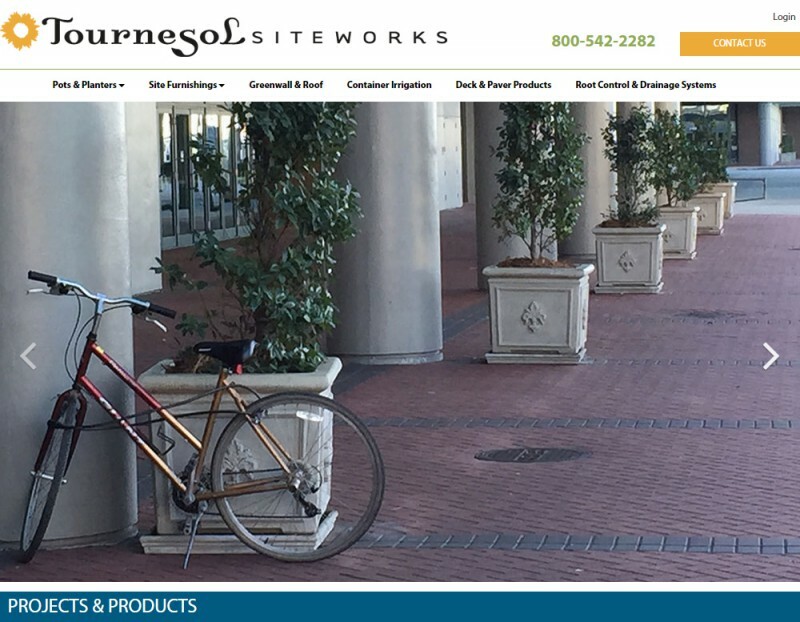 for office buildings, shopping malls and parks. 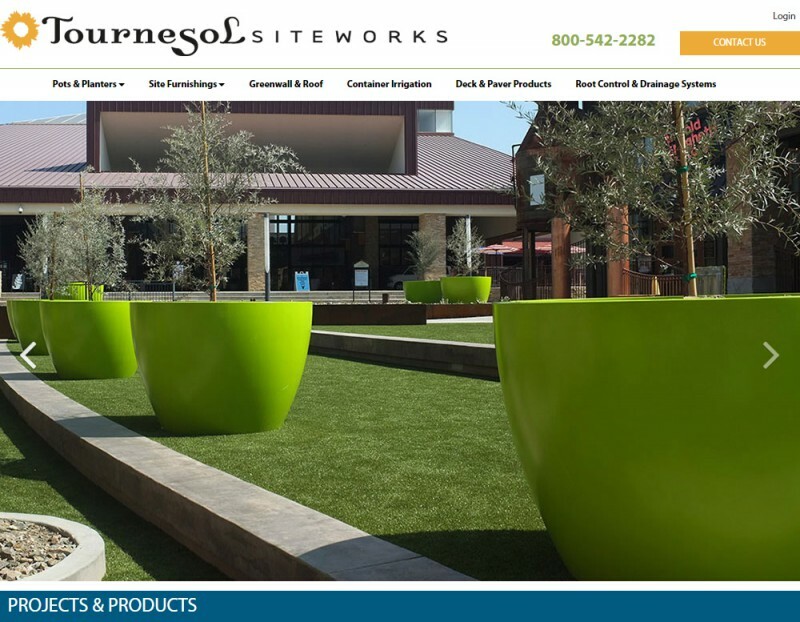 Their website is used mainly by architects and has an extensive catalog supported by CAD drawings, field manuals, sizing guides, maintenance manuals, technical information, videos and more. In addition to being beautiful, the site is very well organized. Each product page provides photos of the variations for each item along with easy access to the supporting documentation for the product. 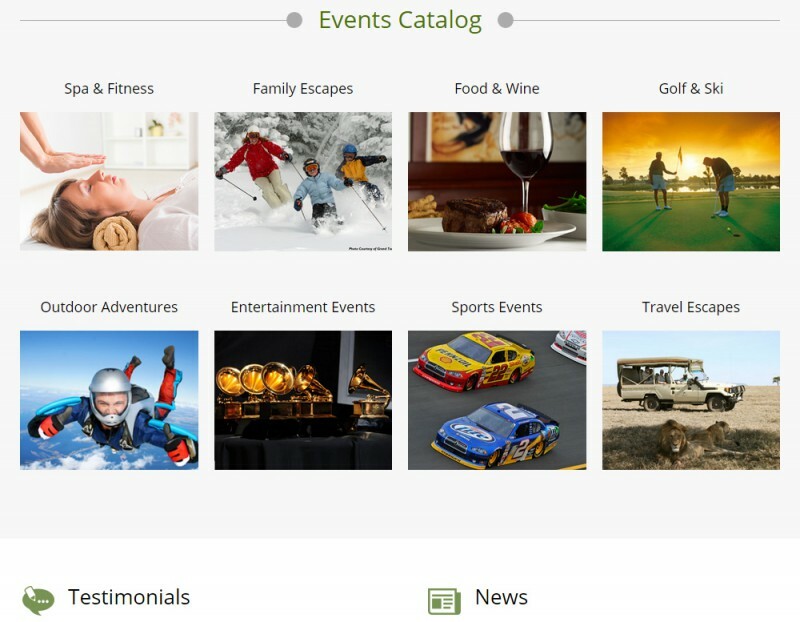 The entire website - menus, content, catalog, customer accounts, newsletter subscriptions, blog, videos, etc. 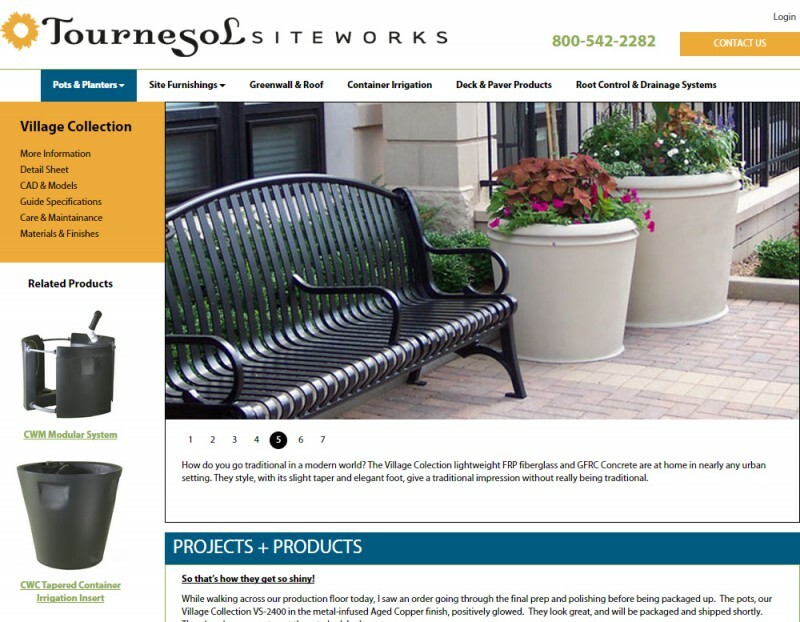 - is managed by the custom CMS we provided.